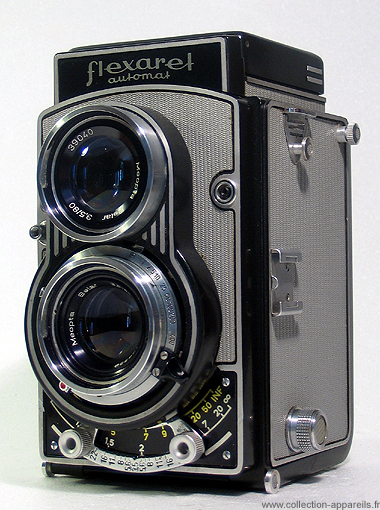 Manufactured in ex-Tchecoslovaquie from 1960 until 0. Lenses: Meopta Belar 3,5 f 80mm for aiming and shooting. Prontor SVS shutter from 1s to 1 / 400th of a second + bulb exposure. The unit is equipped to receive both 120 rollfilms and 24 x 36 mm format cartridges.